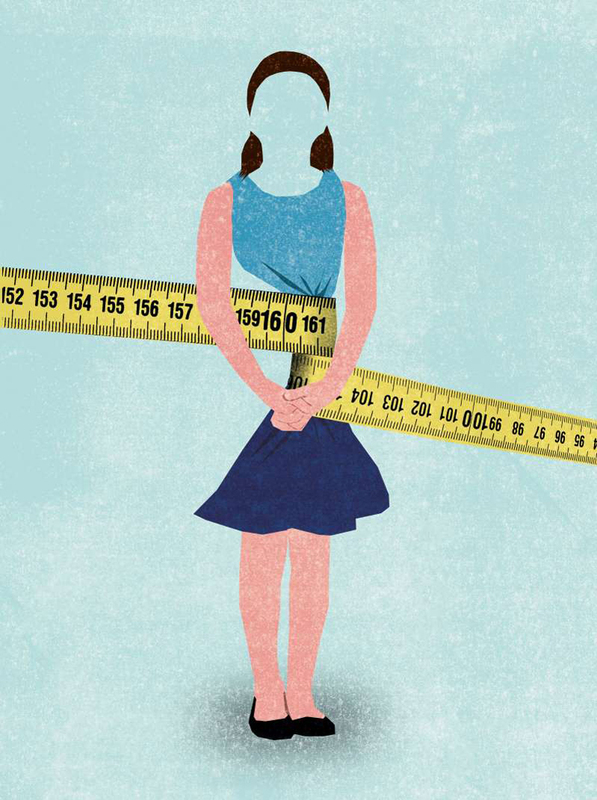 Words whizz through my head like wildfire: anorexia, body image, gender stereotypes. I think about those shocking statistics that showed children as young as four and five attended clinics for eating disorders. And then the refusal to wear this particular coat, because it makes her look fat?! She barely weighs three stone. The sad thing is, I’m far from alone in experiencing this as a parent. A 2016 Journal of Paediatrics study of children aged nine to 14 found more than half were dissatisfied with their body shape. When asked to select a picture representing the shape they wanted to be, half of the girls wanted to be thinner, while the boys were split: 21% wanted to be bigger and 36% to be thinner. And according to Girl Scouts, 80% of 10-year-old girls are afraid of being fat, surrounded as they are by both subtle and direct messages that “curvier or heavier girls aren’t as well liked”. One tip, Dr McCarthy explains, is to think about how you would talk to your child about a less emotionally-charged issue, if “fat” is a loaded term for you or them. Then translate this back into how you can talk to them about “fat”. Parents should also be aware of how they discuss weight. “What will influence your child is the way you and other adult family members talk to each other about food,” she says. “Remember who’s listening when you’re talking amongst yourselves. Rather than talking negatively about your own weight, or sharing diet-failure angst with close friends when the kids are around, compliment each other.” This includes agreeing to drop words like “naughty” when you talk about cake and “good” when you talk about kale. “Those day-in-day-out messages are the drip-feed which shapes your child’s representations of the world,” she added. If your child is hanging around with someone saying hurtful things, it might be helpful to find out if they look up to that child. You could have a discussion about this as an issue in life – that we don’t always agree with what others say or think, and that is fine. Even when that other person seems older, wiser, or more popular than we are. Create space to talk about body image. Your child will love being included when their point of view is listened to respectfully, questioned or agreed with. Don’t panic if your child holds a view you don’t agree with – you can say you don’t agree and why. You can also talk about it when it comes up again. Most of all, enjoy the blessing of eating and enjoying food together. That’s enough.